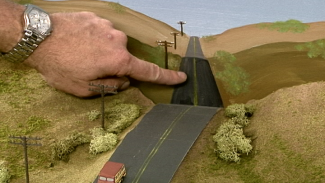 When it comes to making scenery for your model railroad layout, sometimes the simplest techniques are the most effective. Especially for forested areas, you can fill a ton of space on your layout without much effort by creating basic model railroad scenery trees that are inexpensive and look highly realistic. On Tony Koester’s HO model of mountainous Allegheny Midland Railroad, there was plenty of wooded area and hillsides that needed to be created in order to replicate the towering scenery of West Virginia and Virginia. 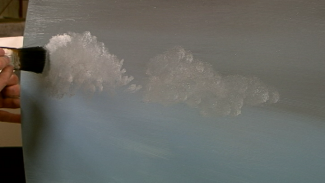 He achieved this with hundreds upon thousands of simple model railroad scenery trees. In this lesson, Tony and host Allen Keller teach you the easiest way to produce a lot of realistic model railroad scenery trees in a short period of time. There’s been great discussion over the years in the model railroading world about the best way to make model railroad scenery trees, but for Tony, it’s always been a question of convenience. If you plan on needing hundreds of model railroad scenery trees for your layout, best to take stress out of the equation and shoot for realistic but efficient. To make a lot of model railroad scenery trees in a short amount of time, we prefer to use polyester fiberfill and turf. 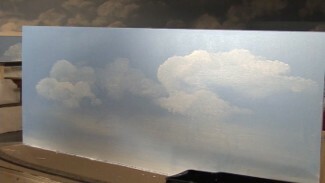 Tony shows you how to complete this quick process by teasing out tiny wisps of fiberfill to form a little puffball–a small amount goes a long way in creating model railroad scenery trees, so you don’t have to worry about these scene elements getting too costly. Once you’ve got the beginnings of a tree, you’ll learn how to use spray adhesive, old tweezers and a bucket of turf to give your puffball texture like the real thing. With this simple method, you can produce an entire hillside of model railroad scenery trees in just a few hours’ time! Do you find the liquid glue preferable to hair spray as an adhesive. Better hold and results? Hi, Brian. Yes, hairspray seems to make a pretty weak spray glue.